It is not the old days, put a sign in front of the building and candidates appear. The demand for labor is higher then the supply. Do you feel like you are always behind the recruiting curve? Always a day late and a dollar short? 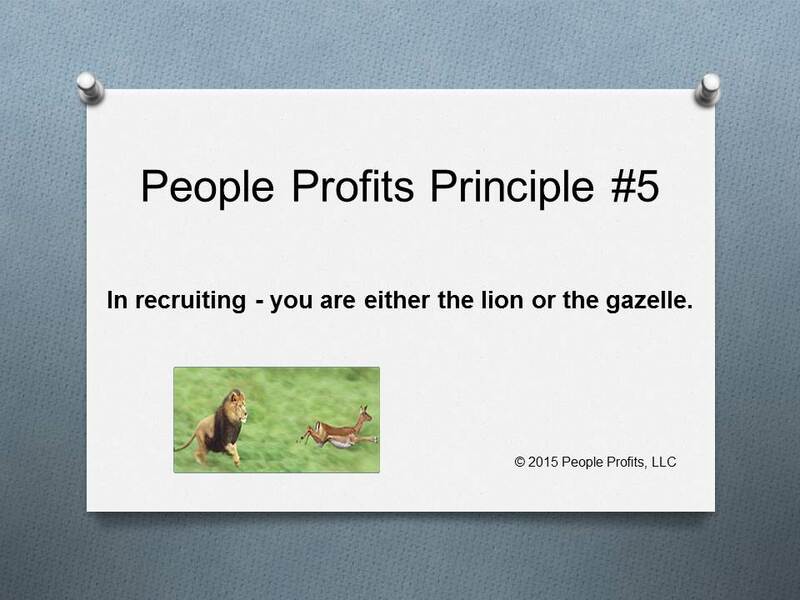 Do you have a recruiting strategy? With plans and tactics? Do you know what works and what does not? Do you know how to throw a wide net inexpensively? If you did not say yes to these questions - you are a gazelle. In recruiting you are either moving proactively and getting ahead of the market OR you are quickly overtaken by the market. Look at your recruiting results and determine which one it is. You may need to develop a Human Capital Strategy and Plan which would include a proactive recruiting plan. The solution cost is a fraction of the opportunity cost of not having the people you need.